Along with global legal practice Eversheds Sutherland, we look at why employers may want to do more than simply meet the legal minimum in terms of their auto-enrolment duties. Our new policy paper — ‘Automatic enrolment and the law – how far do employers’ duties extend?’ — summarises current minimum duties of employers to enrol ‘eligible jobholders’ into a pension of a minimum standard, to make the necessary contributions, to notify workers of their rights to opt out, and so forth. 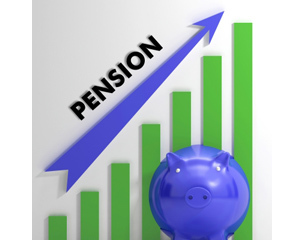 There are examples in other countries of employers having to pay damages for their failures with regard to pension provision. In the US, for example, employers have paid out over $350m in legal settlements since 2009. There is a risk that future regulators and ministers may decide that today’s employers should have gone beyond the basic legal minimum requirements around automatic enrolment, especially if some workers end up getting poor outcomes. Courts may decide, as they have done in other pensions-related legislation, that employers have an ‘implied duty’ to look after their workers and that a minimalist approach to automatic enrolment legislation could fall foul of this test. Regularly reviewing an automatic enrolment scheme, not just at the point of choosing a scheme but on an ongoing basis. This is especially important given that the whole process of automatic enrolment relies on ‘inertia’ with employees having little active involvement in choosing the provider or default investment strategy. An employer that persisted with a pension provider that was not providing good value to members could face some searching questions in years to come. Ensuring that the scheme chosen provides tax relief to all employees, including those earning below the tax threshold. Employers that choose a scheme that delivers tax relief through the ‘net pay arrangement’ could face challenge as this excludes non-taxpayers from the benefit of tax relief. Helping to protect individuals against making poor decisions. While employers are not under a legal duty to provide financial advice to their employees, courts have implied a duty on employers to provide information to employees about their pension rights where not doing so could lead to an individual suffering financial loss. Commenting, Steve Webb, Director of Policy at Royal London, said: “It is very tempting for employers thinking that once they have chosen a pension scheme and enrolled the right workers they can largely forget about automatic enrolment. You can read the full policy paper here.